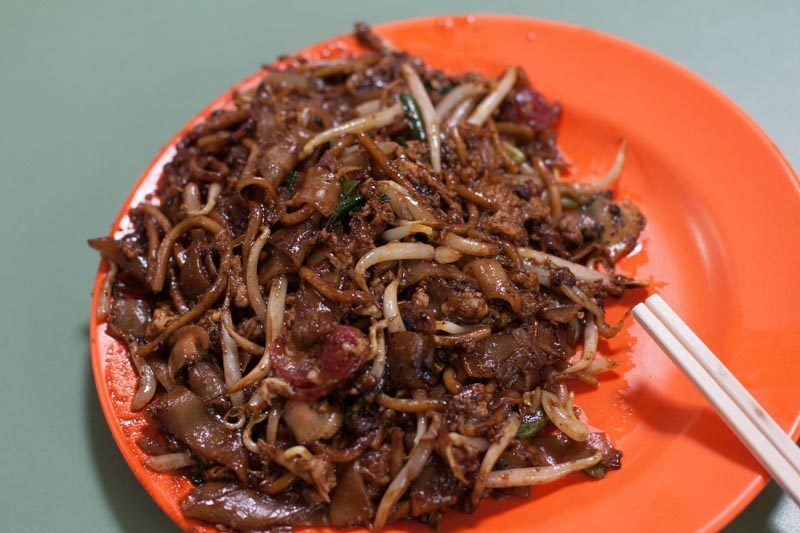 There’re hardly any Singaporean delicacies that aren’t fervently adored by us locals, and one of the more fiercely loved ones is the famous Char Kway Teow. 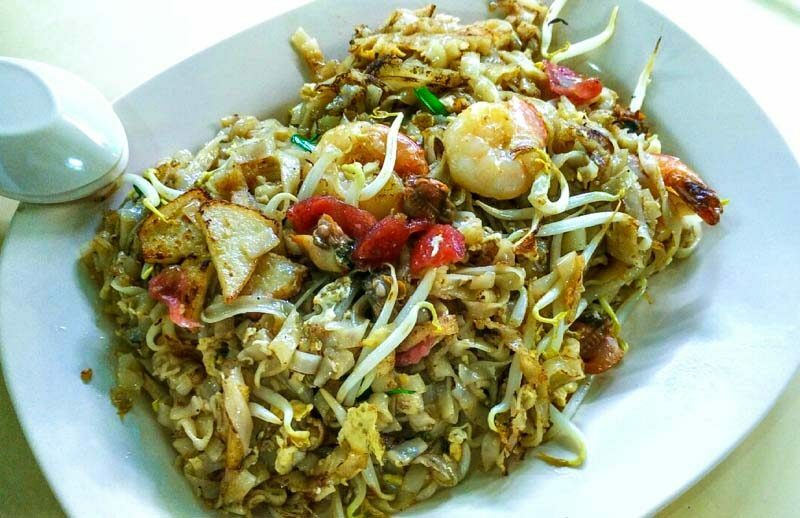 Char Kway Teow, which literally means ‘stir-fried rice noodles’ in dialect, is traditionally made out of flattened rice noodles fried with an assortment of ingredients and dark sauce. Some of the more typical ingredients that make this delicious plate of ‘heart attack’ are: Fish Cake, Bean Sprouts, Hum (Fresh Cockles), Eggs, Dark Soy Sauce, Sweet Sauce, Lap Cheong (Chinese Sausages) and Spring Onions. Stir-fried on high heat together in a huge wok, Char Kway Teow often comes packed with wok hei (charred flavours from the wok). However, there’s also another (less sinful) version of Char Kway Teow, reigning from the lands of Penang, Malaysia. Their variation isn’t as sweet or as heavily flavoured as the Singaporean one, producing a cleaner flavour that even quite a number of locals seem to prefer. 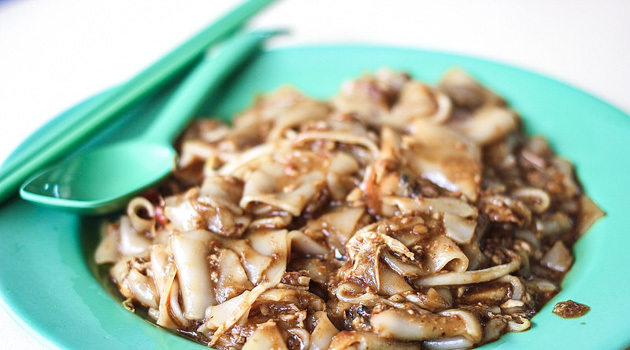 Here’s where you can find the best of our beloved Char Kway Teow in Singapore. For just $3 a plate, they give you quite a generous portion of Char Kway Teow. Their eggs are perfectly charred and aren’t soggy in sauce, which I consider to be a huge plus. Also, they hold back on their sauces a little bit, so their Char Kway Teow isn’t overwhelmingly heavy, but they definitely don’t hold back on oil! I’d say that their Char Kway Teow is easier to eat than most Char Kway Teow, as it isn’t as jelat, but by no means do they compromise flavour. However, as they fry their cockles a little longer than usual, they aren’t as juicy, and could do with being a little more raw. The stall closes once it sells out its kway teow. 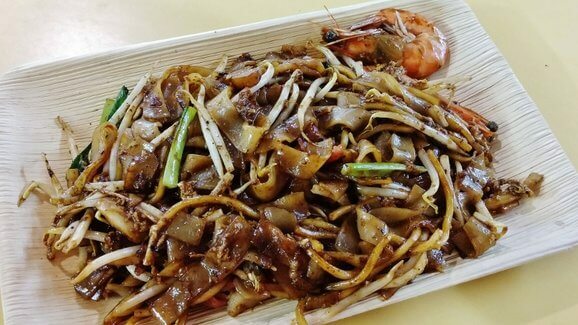 18 Zion Road Fried Kway Teow is one of the main reasons why so many of us flock to Zion Riverside Food Centre every night. With the right balance of sweet and savoury, their char kway teow doesn’t have the overpowering sweet sauce taste that some people detest. On top of having the right balance, they add a ridiculously generous serving of fresh cockles, a good amount of wok hei taste, and is fairly dry (thankfully not wet and mushy). 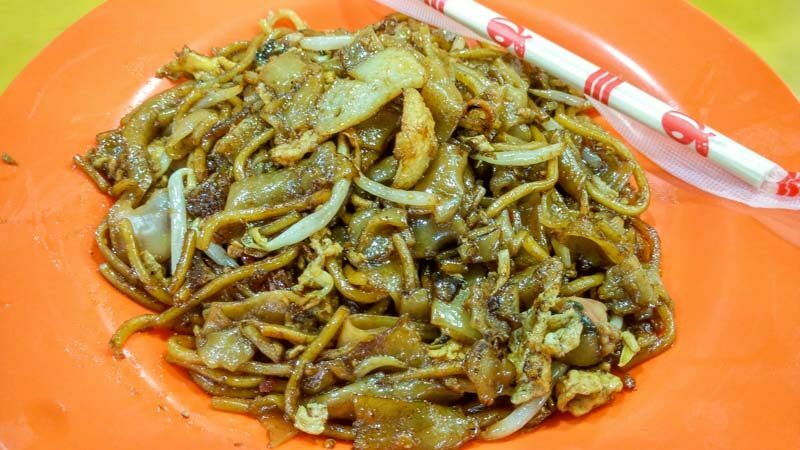 Also, considering how the food centre’s pretty near Zouk, you might want to visit 18 Zion Road fried Kway Teow before you get on with your crazy night eh? I didn’t expect much from Killiney’s Char Kway Teow considering how it’s a large company with several franchises, but I was pleasantly surprised to find that I found comfort in their Penang Char Kway Teow. Without the use of a barrage of dark sauces, this dish’s most potent flavour is its wok hei. Not as jelat as the conventional plate of Char Kway Teow, it tastes like the rice noodle version of Fried Rice, or Hor Fun without the sauce. It has a very homely edge to it, and would do very well for a person with a hangover. One of the more traditional Char Kway Teows, Meng Kee checks every box of the Char Kway Teow rubric – good pork lard flavours, strong wok hei, slight sweetness and savouriness of dark sauces, noodles well coated with eggs, and awesome chilli. They have just the right amount of every ingredient, and their cockles are served a little raw and are much larger than usual. I found it quite unsettling that literally every single component on this plate of Char Kway Teow was red, but not unsettling enough to stop me from putting it in my mouth. 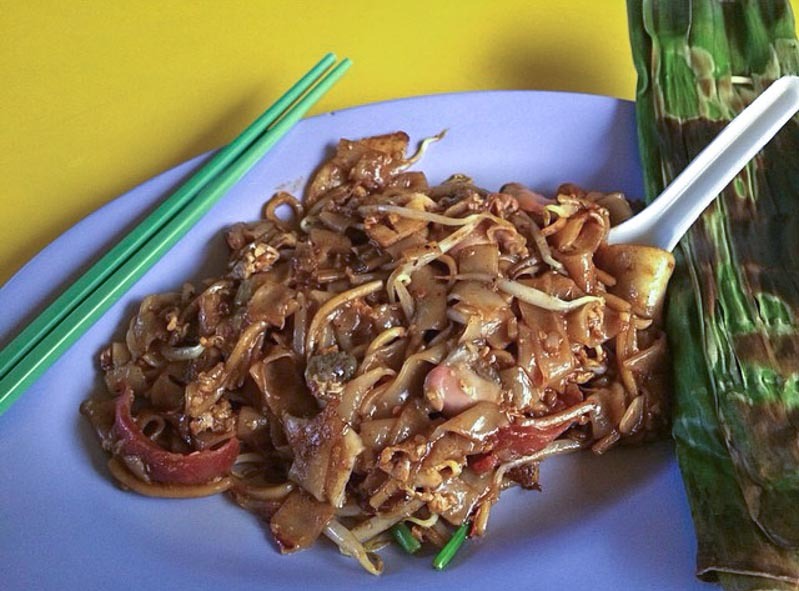 This Char Kway Teow has a mysterious edge to it (apart from the mystery of its redness). It’s neither overly salty nor sweet, has an excellent amount of gravy and quite a lot of pepper; I didn’t want to stop eating it. Warning: discard your prawn shells properly because it’s red, like everything on the dish, and you might accidentally ingest it. There’s a reason behind this warning. Things have happened. 91 Fried Kway Teow Mee, famous for not utilising any pork or lard in their cooking, still somehow manages to make great Char Kway Teow (I have a bad habit of staying away from places with “no pork, no lard” signs). On top of their already less sinful creation, is a large serving of blanched Chye Sim, topped off with some fried small Ikan Bilis for added flavour. It’s more moist than most Char Kway Teow, but still a great and interesting creation to have. 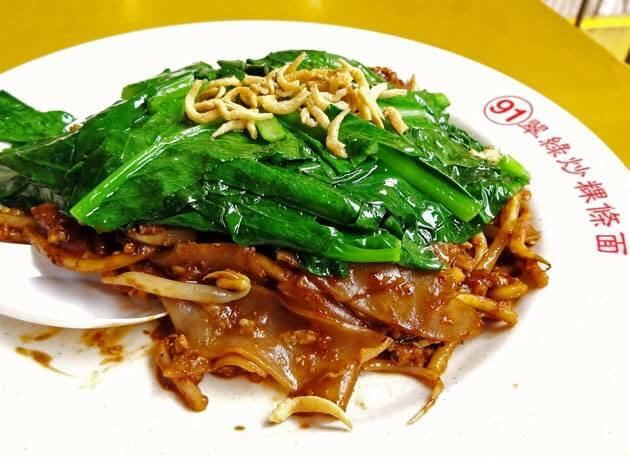 The renowned Old Airport Road Food Centre houses many local favourites, and Lao Fu Zi Char Kway Teow is undoubtedly one of them. Needless to say, this stall’s Char Kway Teow justifies their long queue of patrons. Bursting with wok hei flavours, riddled with an abundance of lap cheong, and fresh, plump cockles, Lao Fu Zi’s Char Kway Teow has been a rave for years on end. Another interesting thing about Lao Fu Zi is that they offer not only the standard black Char Kway Teow, but also the white version. 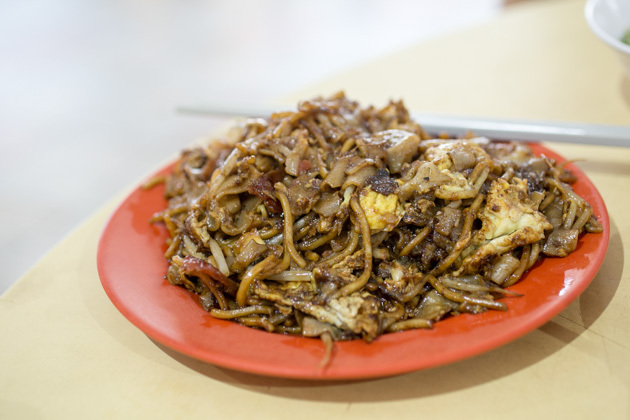 Famously known as the stall that sells green Char Kway Teow, Heng Huat, on top of adding the unusual ingredient of Cai Poh (preserved radish), piles on a generous serving of Chye Sim on their Char Kway Teow. Another great thing is, you can get drinks from the nearby drink stall for only $1. They don’t come that cheap anymore, my friends. Lai Heng, operated by a daughter-father duo, serves up moist Char Kway Teow, with strong wok hei flavours, without the help of pork lard. Instead of using pork lard, they use vegetable oil by default, but fear not, you could always request for pork lard it you’re feeling adamant about it. Most of their stall patrons opt to add Otah for just $1 and I’d suggest you get yourself one too! Apollo Fresh Cockles does its Char Kway Teow in a style like no other. 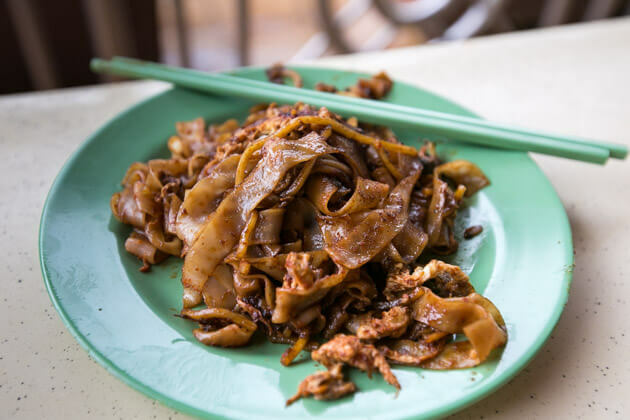 Known for its extreme wetness and potent garlic flavours, the purist traditional Char Kway Teow fan might just loathe the ones that they serve here. The best way to describe it would be that it’s a hybrid between normal Char Kway Teow and Hor Fun, with peanut sauce and a lot of garlic – uncanny and pretty unaesthetic, but nonetheless delicious. Plus, of course, their cockles, as their name suggests, are fresh and juicy. Another fun fact is that they add cockle blood into the recipe for that added iron kick. Fried Kuay Teaw Mee sells an unusually large portion of noodles priced as low as $2.50. While they aren’t fanciful with the ingredients used (no lard and less oil some more), with the right amount of lap cheong, cockles, eggy goodness, a touch of wok hei and garlic-infused noodles, it’s pretty darn awesome. And come on, it’s just $2.50. You’ve got to try it if you’re ever at Seah Im Food Centre. 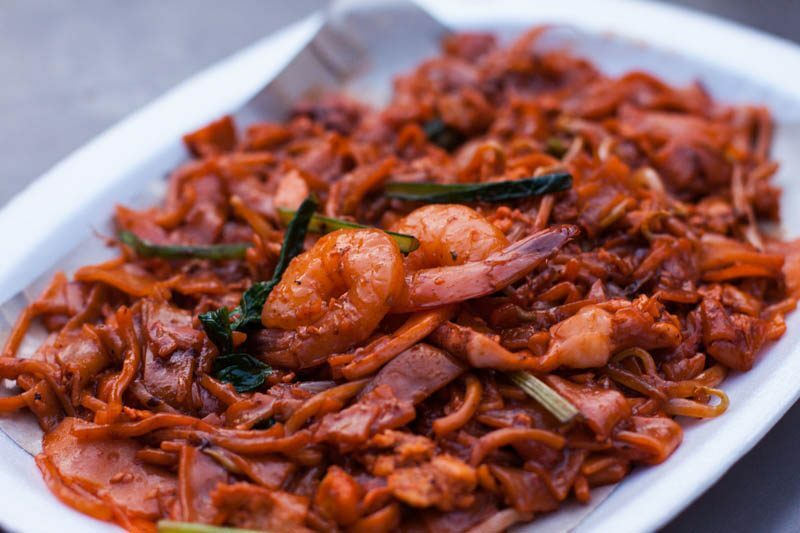 Loaded with a wealth of lap cheong, prawns, fishcake slices, and cockles among others, 133’s Penang Char Kway Teow is as authentic as it can get. The noodles, slightly charred, are laced with wok hei, and it’s really hard not to enjoy every single bite of this deliciousness. 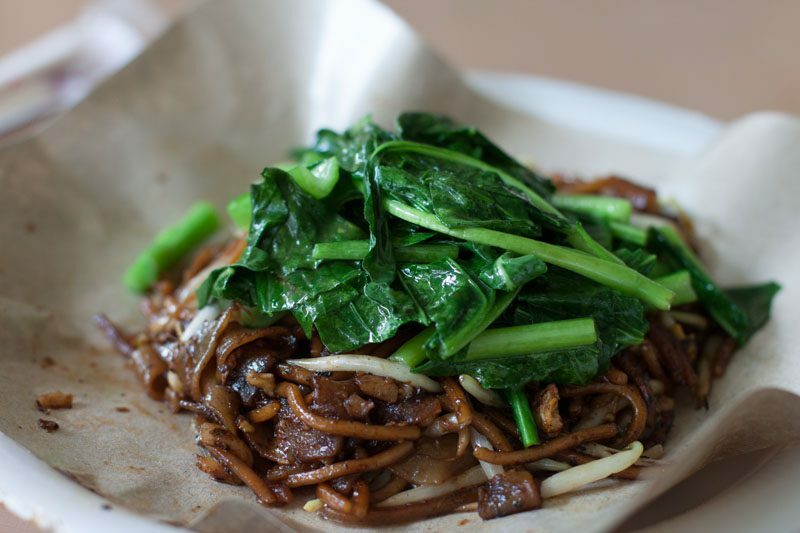 Everything is fried to an ideal dryness, and the noodles have a slight chewiness to it, unlike the normal kway teow that other stalls use. The prawns and cockles are fresh, and the eggs are fried till they have a slight crisp. 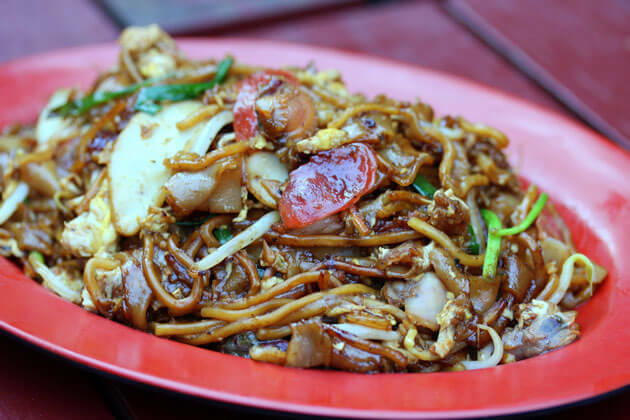 The food paradise of all delicious high cholesterol foods, Chomp Chomp, is home to Chomp Chomp Fried Kway Teow Mee – producers of infinitely awesome Char Kway Teow. It’s rich flavours aren’t overpowering, has a good amount of wok hei, and is at the ultimate cusp between moist and dry. The eggs are cooked to a adequate crispiness too and aren’t soggy at all. Their chilli also has a nice bite and adds a zing to the Char Kway Teow, with an appropriate number of cockles scattered around. 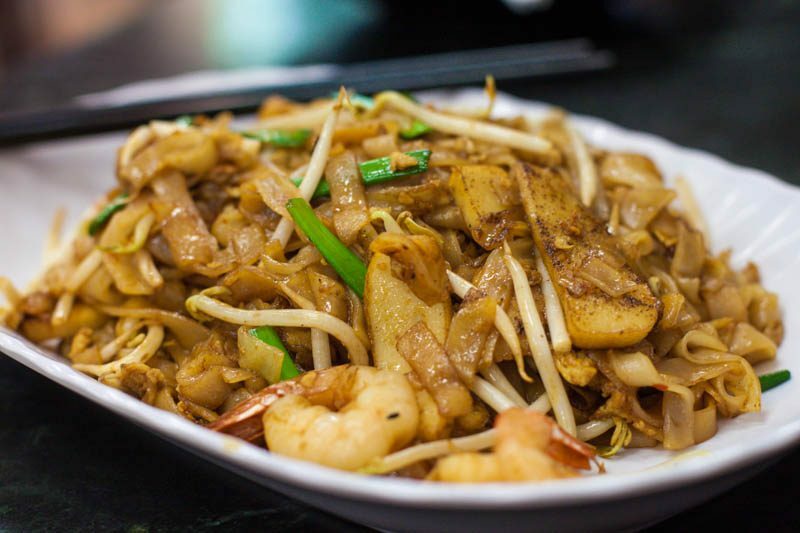 Normally, when you see a plate with the Char Kway Teow leaning toward one side of the plate, it can only either mean that the chef’s too lazy to place the Char Kway Teow on properly, or that they’re too busy to really care about presentation. Thankfully, it’s the case of the latter. I think Hill Street is the ultimate dependable Char Kway Teow. The wok hei, lap cheong and sweet sauce bring out the most prominent flavours here, but not overpoweringly so. Come here if you’re looking for good and dependable Char Kway Teow. 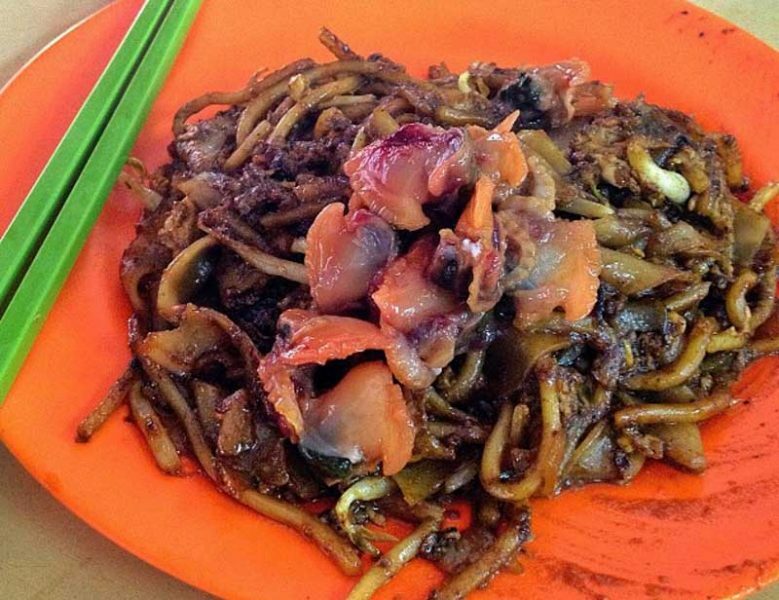 The history of Outram Park Fried Kway Teow Mee dates all the way back to as far as two generations ago. Handed down from one generation to another, the authenticity of its flavour has remained unaltered. 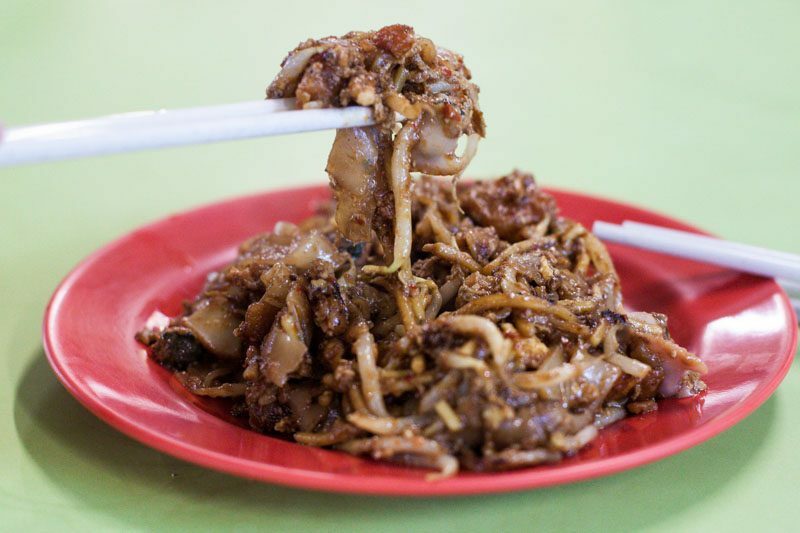 The most significant part of Outram Park’s Char Kway Teow is their generous serving of pork lard, each the size of your thumb, and that strongly permeates the entire dish. Although this plate of Char Kway Teow’s wetter than usual, I still think it’s really bomb. Warning: the queue snakes all the way into the lane behind their stall, and it’s tremendously hot in the food centre. Maybe find a friend who’s heat resistant and pay him to queue for you while you wait at a table somewhere cooler.